Vous pouvez également utiliser 10800 Kobo Super Points pour l'obtenir ! The first in-depth examination of NEST: America's super-secret government agency operating to prevent nuclear terrorist attacks. Jeffrey T. Richelson reveals the history of the Nuclear Emergency Support Team, from the events leading to its creation in 1974 to today. Defusing Armageddon provides a behind-the-scenes look at NEST's personnel, operations, and detection and disablement equipment--employed in response to attempts at nuclear extortion, lost and stolen nuclear material, crashed nuclear-powered Soviet satellites, and al Qaeda's quest for nuclear weapons. Richelson traces the Cosmos satellite that crashed into the Canadian wilderness; nuclear threats to Los Angeles, New York, and other cities; and the surveillance of Muslim sites in the United States after 9/11. 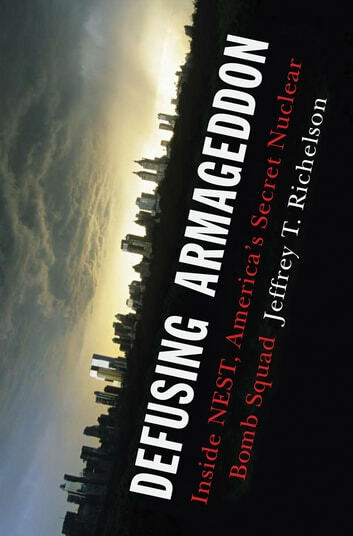 Relying on recently declassified documents and interviews with former NEST personnel, Richelson's extensive research reveals how NEST operated during the Cold War, how the agency has evolved, and its current efforts to reduce the chance of a nuclear device decimating an American city.